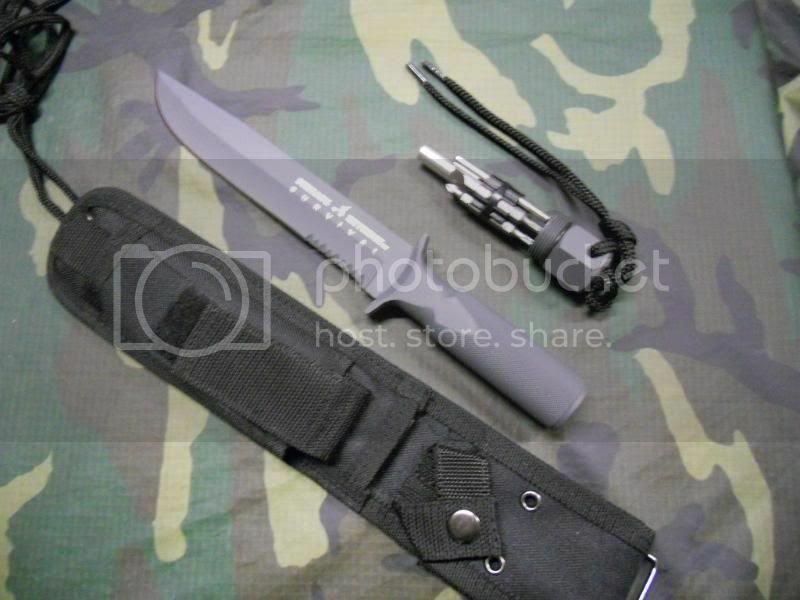 SCHRADE EXTREME SURVIVAL KNIFE: SCHF2--INCLUDES BALLISTIC CASE WITH MULTIPLE TOOLS INSIDE HANDLE--HANDLE: 5.2" SAE 1070 HIGH CARBON STEEL--BLADE: 7.5" SAE 1070 HIGH CARBON STEEL--WEIGHT: 1 PD 1.8 OZ. The multi-tool inside the handle was great for making adjustments on my scope and screwdrivers always come in handy. 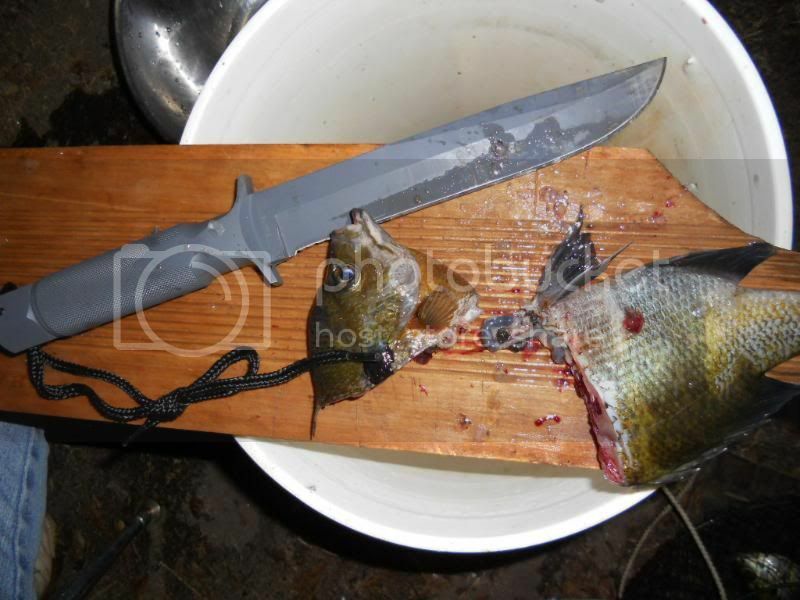 There was still room inside the grip to add fish-hooks and fishing line and some water-proof matches. I was able to take the tool out of the handle and put it in the pouch on the sheath. Then I took the rope/shoelace material that came with the knife and sheath and tied the knife on the end of a large stick making a spear. I attempted to make some kills "fish and frogs" but was unable too. It was all my fault as the spear was definately able. 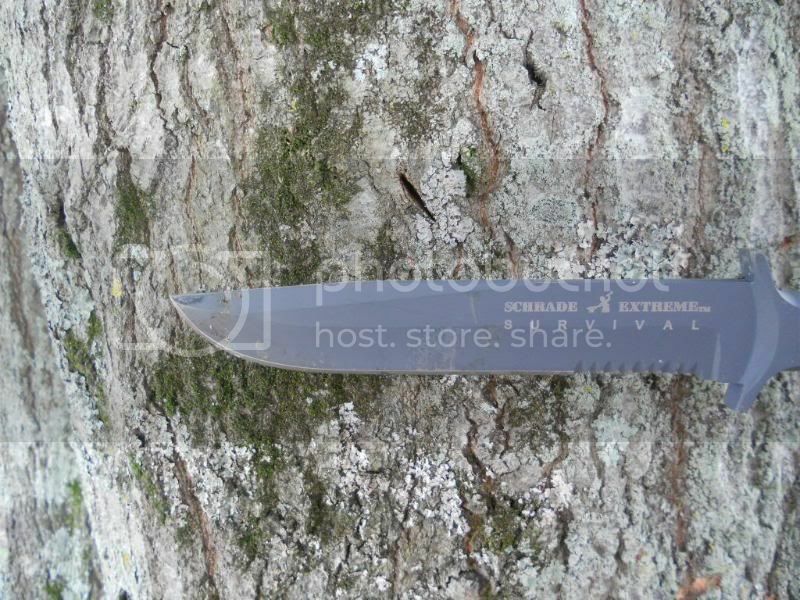 The knife was great for chopping limbs or clearing a path through small limbs and brush. 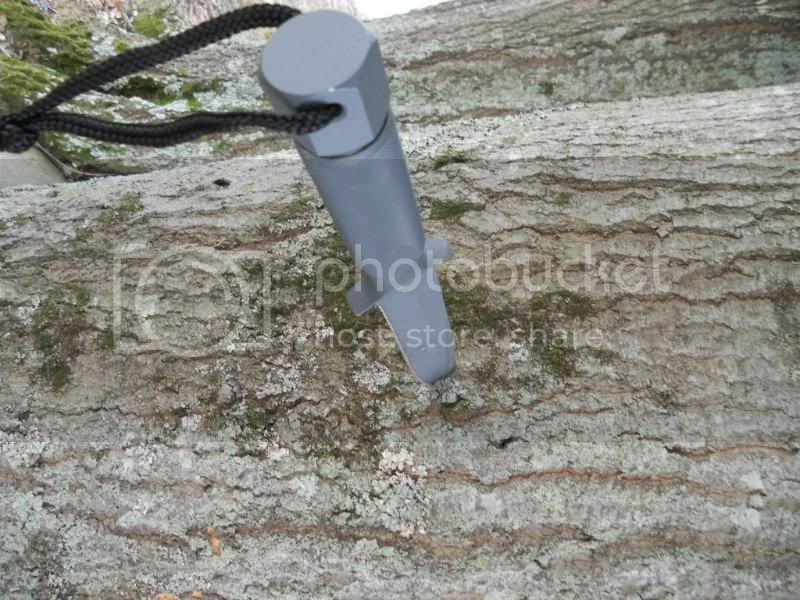 during the throwing test we were able to penerate hardwood roughly a inch. 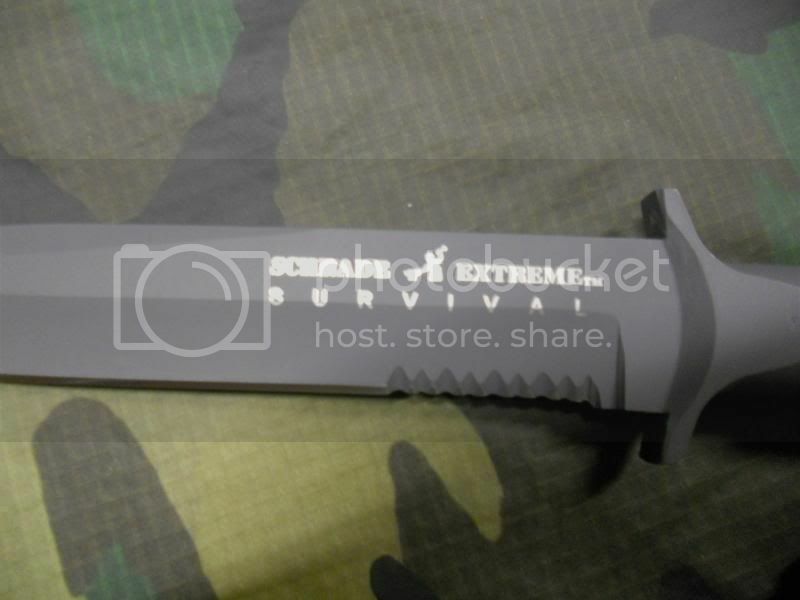 The Shrade Extreme Survival knife is a GO. 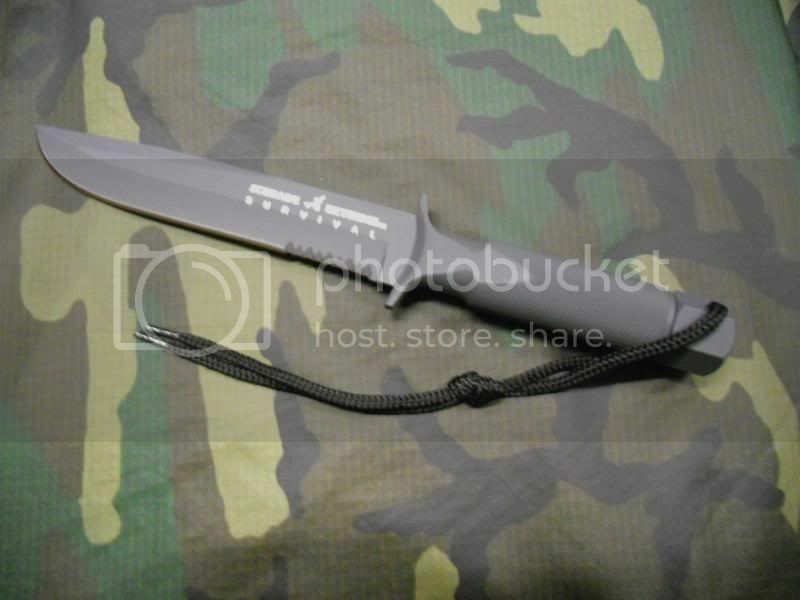 Price, durability, and edge make this knife one to add to your list if you are in the market for a survival knife.